Cimbalom began as a perfume I created for myself within a small window of time on my birthday in August 2008. I had taken my daughter to Shakespeare camp at the Will Geer Botanicum Theatricum and rather spontaneously decided to blend a fragrance for myself. 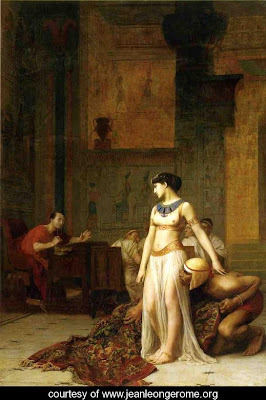 I got out all my favorite raw materials Labdanum, Patchouli, all the Jasmines, the vibrant Oranges and some Ginger among others and began sniffing and blending. Within two hours, which is about how long my labor lasted with Eve, wahlah a Birthday solid perfume for my day! At the time I had no idea that this would become my very favorite and most often worn perfume, nor did I know it would be the best seller. What I learned from this experience is to follow your nose and your heart. For the full her story of this fragrance follow this link here at the journal. 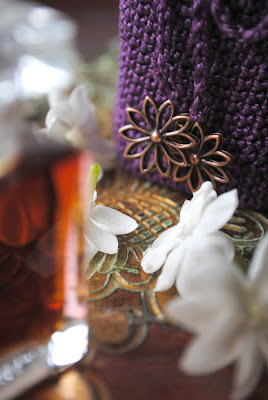 During this past summer I tinctured Jasmine sambac flowers for the fragrance, read and see photos of that process at this link. I sent out vials of the new Cimbalom liquid to a variety of fans and patrons. Three of those are joining me today to share there impressions of this sensual floriental. I invite you to board my ship as we, on purple perfumed sails travel to read the eloquent words of my two dear friends. The perfume in all her sizes and formats is available at my E-shop. 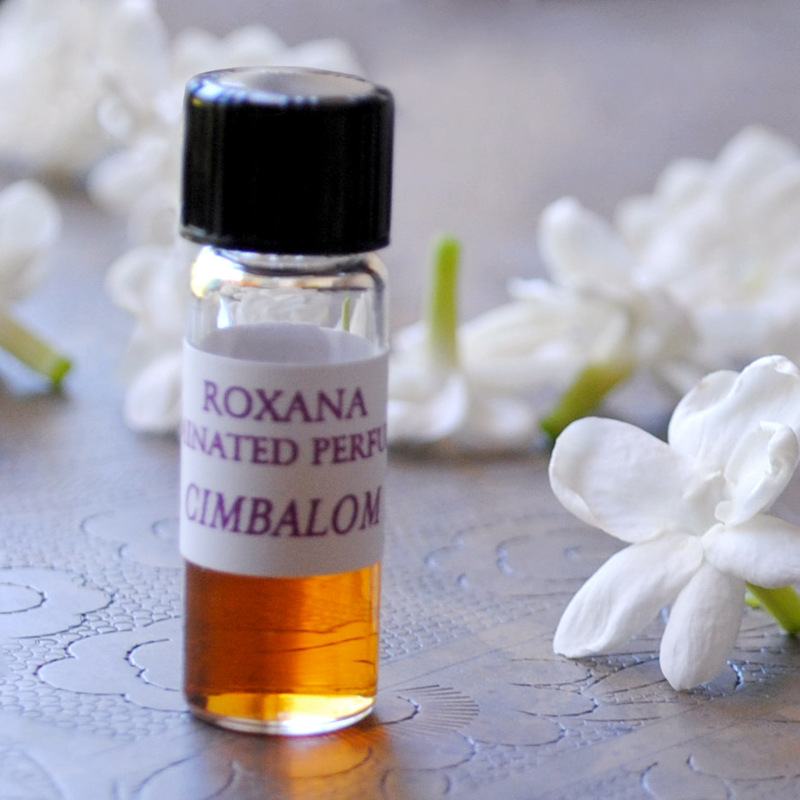 I have a sample vial here of .25 grams of Cimbalom organic liquid perfume. To enter the draw please leave a comment with your e-mail addy so I can contact you if you win. Only one entry per person. The last day to enter is Sunday evening at 10pm PST. I would love to enter this draw. I've just received Q solid as a gift and I've ordered some of the small liquid perfumes to try, but this one isn't one of them. This sounds very lovely and I would love a chance to try it. I have read the review on Çafleurebon and I have thought: I have to try it. Thanks for giving us the chance to try it. Hi Roxana ~ Cimbalom would have to be my favourite Illuminated Perfume - I had a lil pot of the solid from when you first created it and I'd love to sample to liquid version! I always received compliments whenever I wore Cimbalom! I read the article written at Cafleurbon. And it brought me a great desire to try Cimbalom. 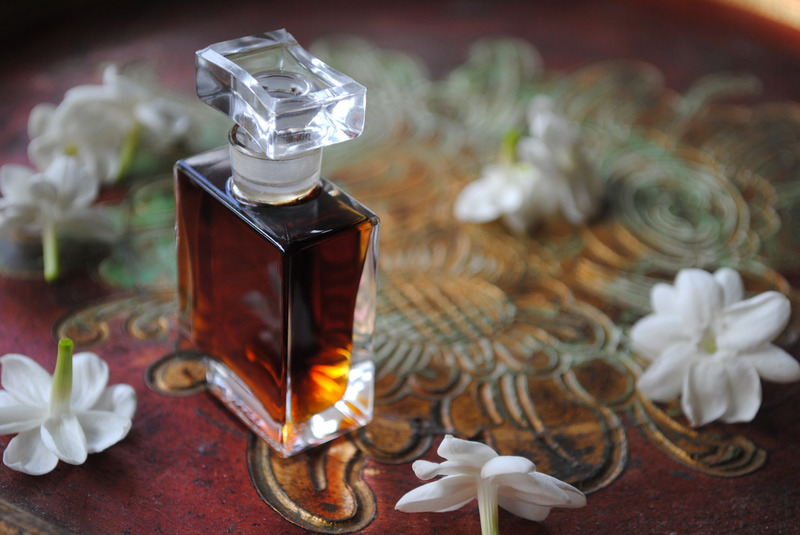 It is strange and beautiful how scents can appear in the senses all of a sudden during a precise date or maybe after an experience that tranforms it into olfactory. I'd love to try this! A little change from my normal scent would be nice. I can just imagine how lovely this smells! Sounds yummy, I am a firm believer in the power of perfume. Ooh! That would be a fun surprise for my husband! Thank you for hosting this draw! This sounds like a beautiful scent. I do hope I win! your products sound amazing! I'm always looking to try new things. Thanks for sharing! I enjoyed reading about your inspiration and creation of this perfume..glad you followed your heart and your nose! !